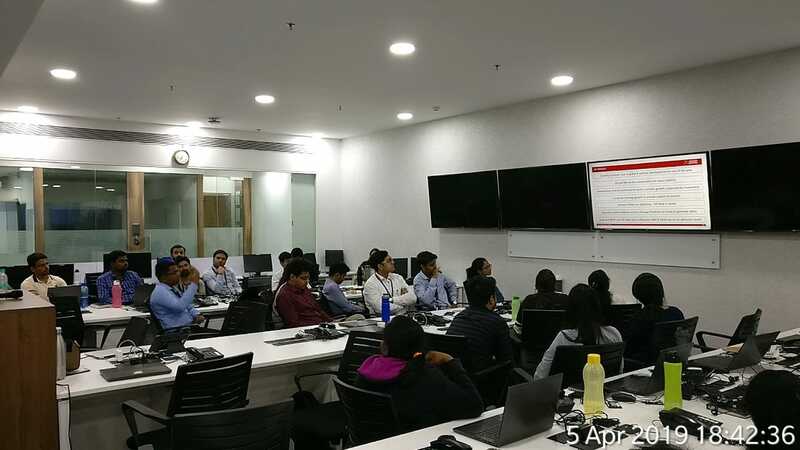 Mr. Jayesh Gandhi, CFA delivered an insightful presentation to the members of the analytical team at Acuité. 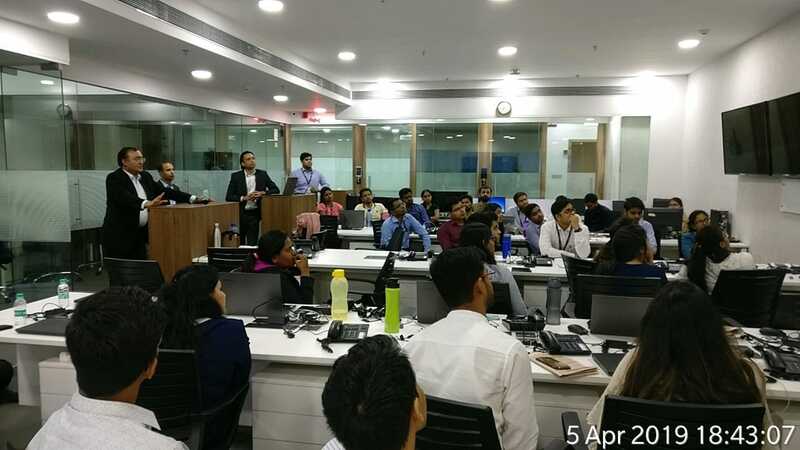 In his session, Mr. Gandhi covered the returns and volatility across various asset classes, the key factors that determine returns, and a 38 year history of market returns segregated into periods of bull and bear phases among other aspects. 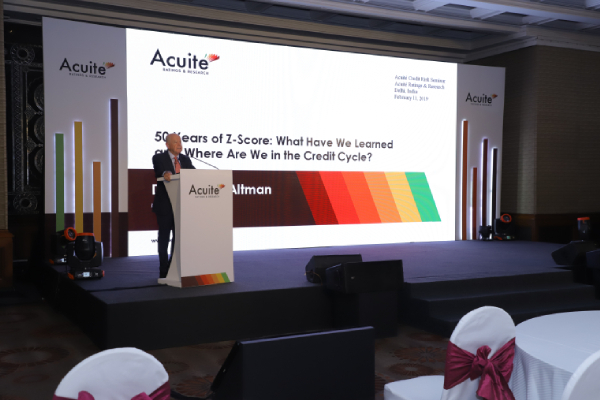 Acuité Ratings & Research organised the first edition of the India Credit Risk Summit on 11th February 2019 at The Regency Ballroom, Hyatt Regency, Delhi. Prof. Edward I Altman, Professor Emeritus of Finance at NYU, Stern School of Business, was the keynote speaker at the event. He is best known for the development of the Altman Z-Score for predicting bankruptcy. He shared his insights based on 50 years of his work on credit risk management. 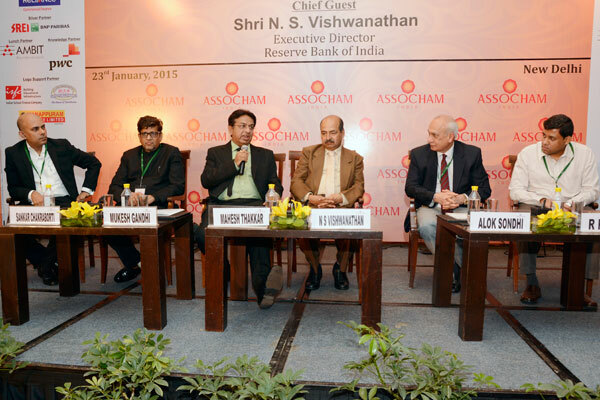 This was followed by a panel discussion - ‘Has the credit cycle bottomed out in India? – which bought together a group of experts to share their thoughts on the medium-term outlook on the credit cycle. 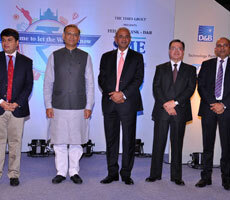 The summit had a global reach and presence of policy-makers, regulators, bankers, investors, and business leaders. 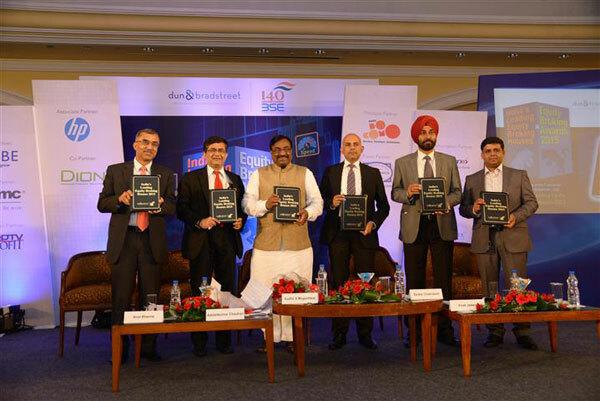 Acuité Ratings participated in the Sa-dhan National Conference 2018 held on September 19-20, 2018 in New Delhi. 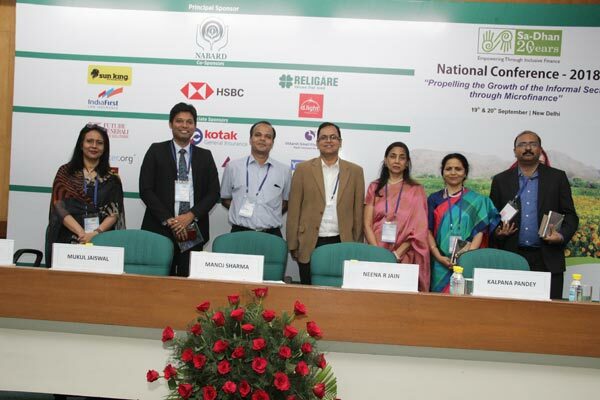 Our President, Suman Chowdhury participated in the session "BUILDING A CULTURE OF RESPONSIBLE LENDING” where the co-panelists included Mrs. Neena Jain, General Manager, RBI, Mrs. Kalpana Pandey, MD& CEO, CRIF Highmark and Mr. Mukul Jaiswal, MD, Cashpor Credit. 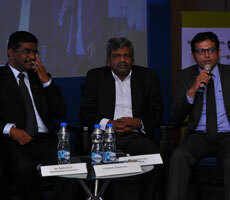 The session was moderated by Mr. Manoj Sharma, Managing Director, MicroSave Asia. 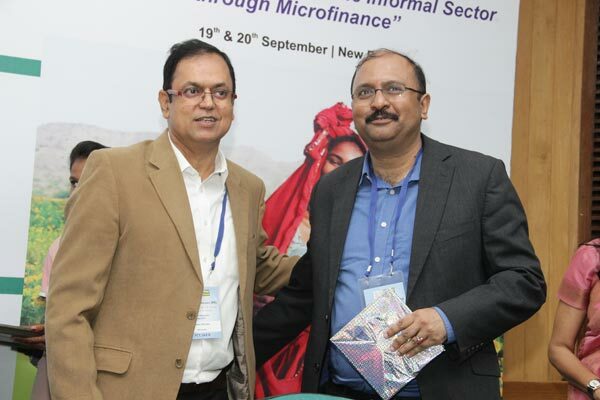 Mr. Chowdhury mentioned that while the regulatory framework for the microfinance sector has been significantly strengthened, the risks of overleveraging cannot be ignored. Both industry SROs and the players need to use portfolio analytics, now available from credit bureaus, effectively to identify any emerging risks in a particular area. 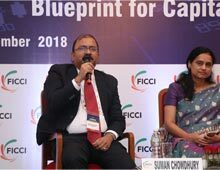 Acuité Ratings participated in the 15th Annual Capital Market Conference(CAPAM) organized by FICCI on Sept. 11, 2018. 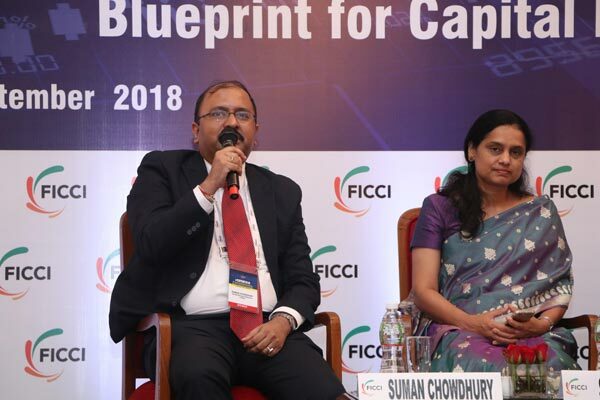 Acuité's President Ratings, Suman Chowdhury was a panelist in the session on "Turnaround of Stressed Assets" which was moderated by Ms. Shilpa Kumar, MD & CEO, ICICI Securities and had eminent experts on the subject namely Dr. M.S. 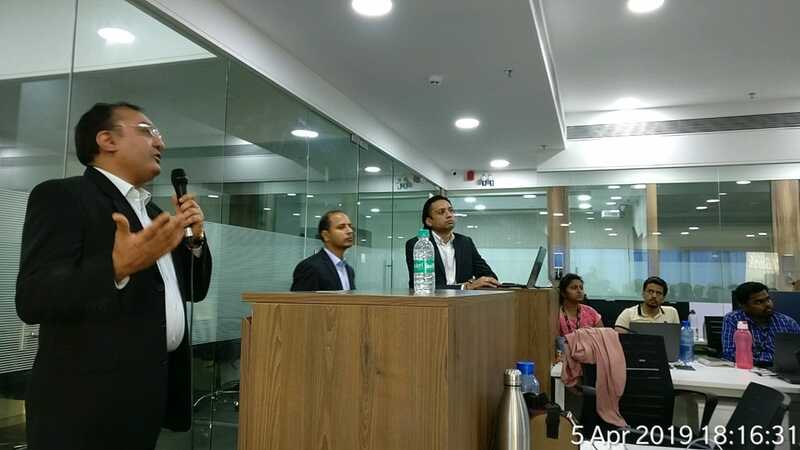 Sahoo, Chairman, Insolvency & Bankruptcy Board of India (IBBI) and Sakate Khaitan, Senior Partner, Khaitan Legal & Associates. 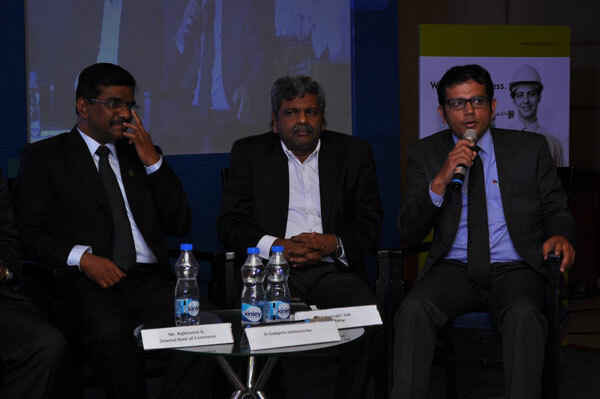 Dr. Sahoo talked about the journey in IBBI so far while the panelists elaborated on how IBC is evolving quickly to speed up the resolution process and how it is bringing in a transformation in the way recovery is made from stressed corporate exposures. 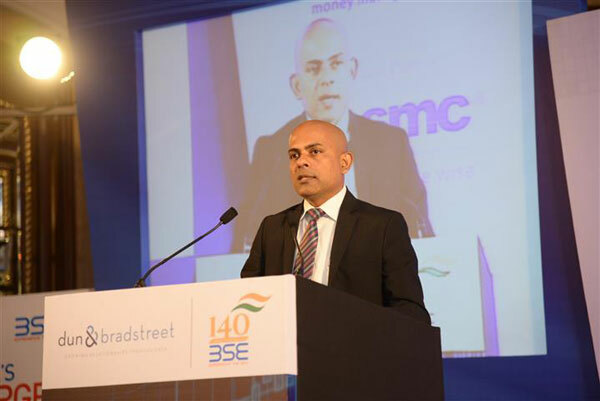 "The larger impact of IBC comes from the financial discipline it brings in to the corporate sector, the strict monitoring of weak assets by the banking sector and the investors' comfort from a transparent legal framework- most of which are pre-requisites for a vibrant bond market in India going forward" said Mr. Chowdhury, President, Acuité Ratings. 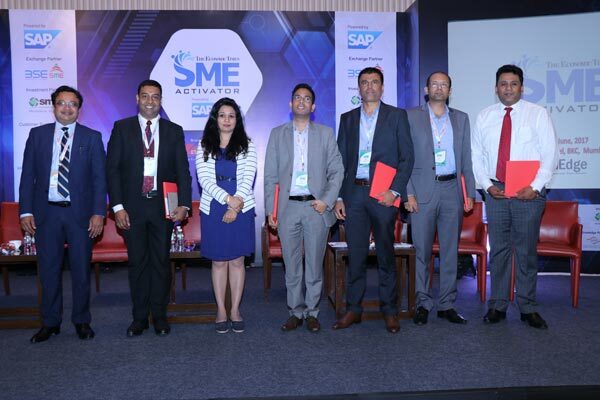 SMERA was the Ratings Partner for the 3rd Edition Economic Times SME Activator Summit, organised by Times Group at the Taj Mahal Palace, Mumbai on June 29, 2018. 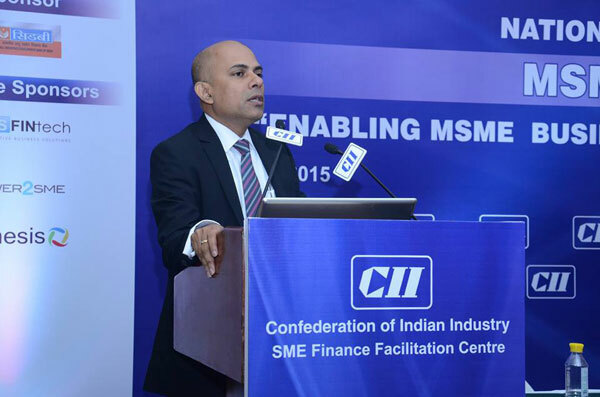 It was positioned as an aiding, enabling and energising platform for the SMEs in India and discussed the contemporary trends and pressing issues in the SME Industry. 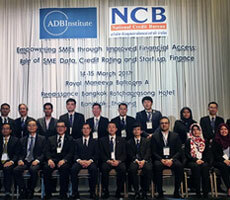 The event facilitated many speakers who were MDs, CMDs, CEOs, and Presidents of various banks and financial institutions. 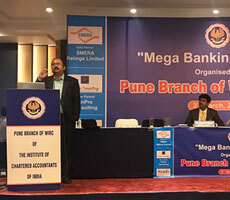 SMERA was the Gold Partner for the "Mega Banking Summit" organised by the Institute of Chartered Accountants of India in Pune on March 3, 2018. 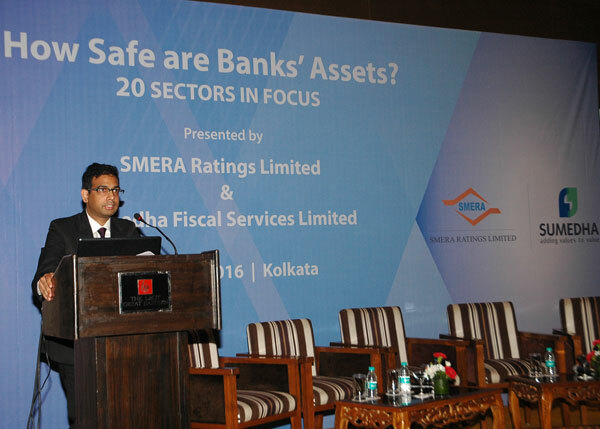 Suman Chowdhury - President Ratings, SMERA, addressed 300 CAs and bankers, speaking about the financing landscape for MSMEs, SMERA's technological innovations and its role in the financial markets, SMERA's unique framework for rating of MSMEs and its increasing market share in the bank loan ratings segment. The index provides a quantitative assessment of conditions facing India's small businesses on 6 parameters - Growth trend, Liquidity issues, access to Capital, Hiring trend, Industry performance, and Ease of Doing Business. 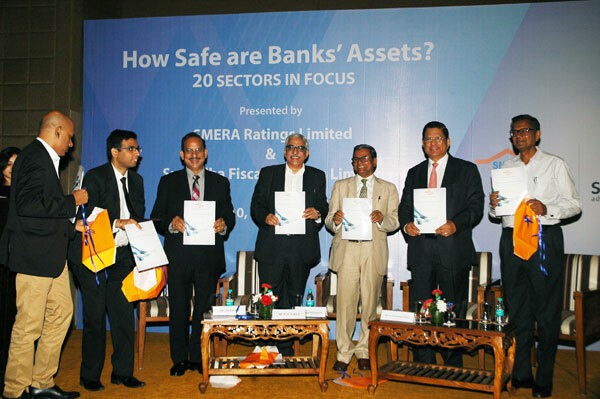 The index has been designed in collaboration with CAFRAL, research arm of Reserve Bank of India. The survey is open to SMERA's esteemed clients and site challenges they are facing to expand their business. While your voice will reach the right authorities, we assure you that your personal details will be kept strictly confidential. Your participation will be immensely valuable to create favourable business conditions and growth environment for SMEs. 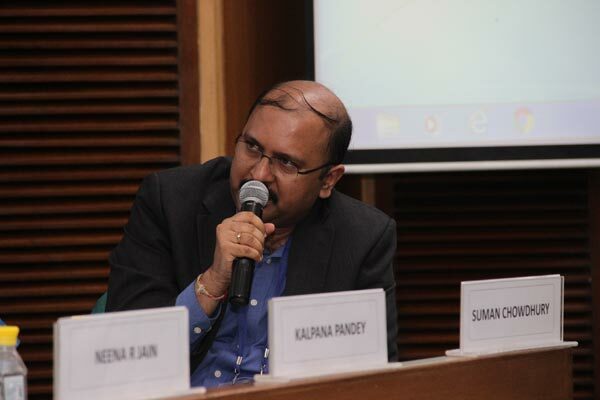 Kalyan Jagnani, Senior Consultant, SMERA Ratings Limited, was one of the speakers at the 25th National Quality Summit, held in Bengaluru on 25-26 November. 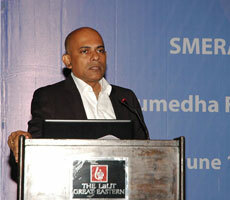 Mr Jagnani spoke on the topic ‘Opportunity Landscape for SMEs'. 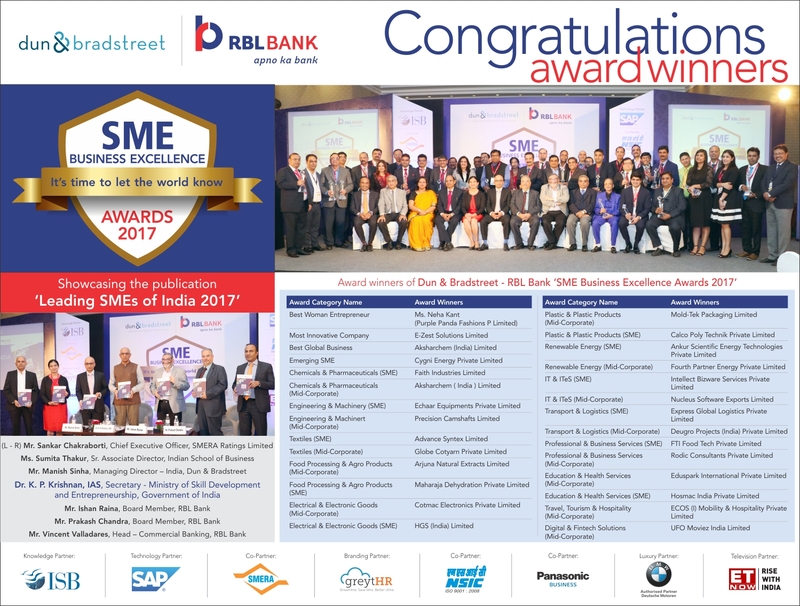 SMERA was the Co-Partner for the SME Business Excellence Awards 2017- presented by Dun & Bradstreet and RBL Bank. 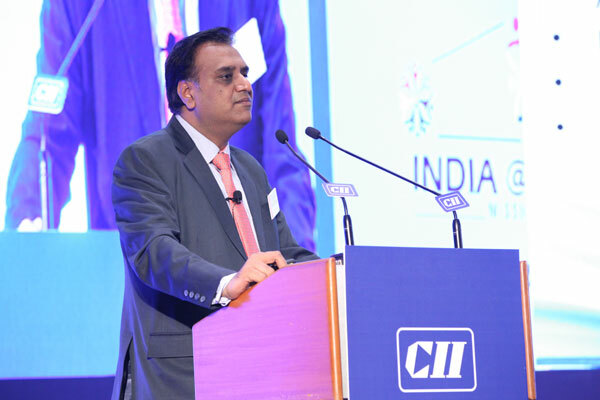 The event was held on November 17, 2017 in New Delhi. 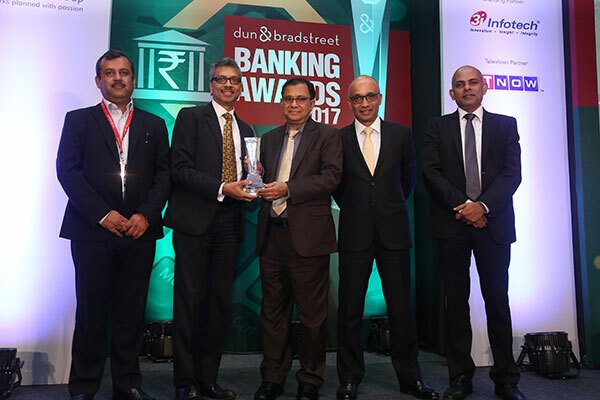 SMERA was the Knowledge Partner for the Banking Awards 2017 which were presented at an event held at the Four Seasons Hotel, Mumbai on Monday, August 21st, 2017. 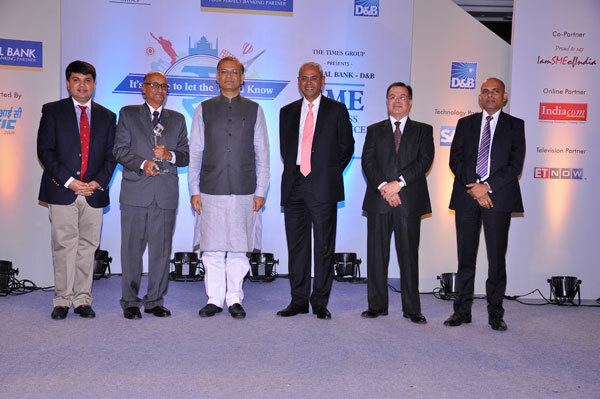 The event was attended by CTOs / CMDs / CEOs / EDs / MDs / Business Heads and other senior management personnel of leading Indian banks. 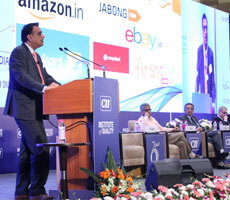 The event served as a platform for stakeholders from the banking fraternity to network and connect with fellow business leaders. 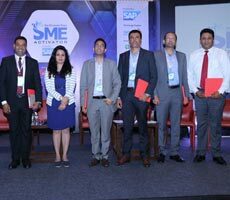 SMERA was the Knowledge Partner for the SME Activator, 2017 event. 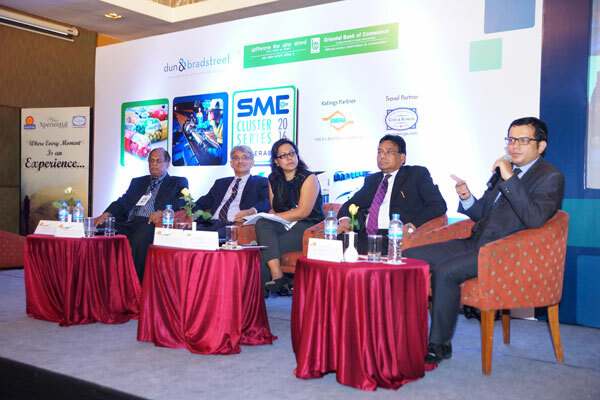 The SME Activator event on SMEs was organized as a platform for SMEs to help prepare them for the GST as well as providing an understanding of the new opportunities, a market economy has to offer. 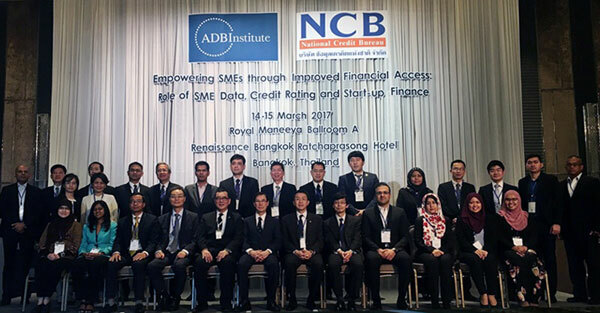 As a part of the SME Spring Board Session, 8 SMEs were shortlisted and invited to present their business plans to an eminent group, forming the Jury and SMERA was involved in the nomination process. 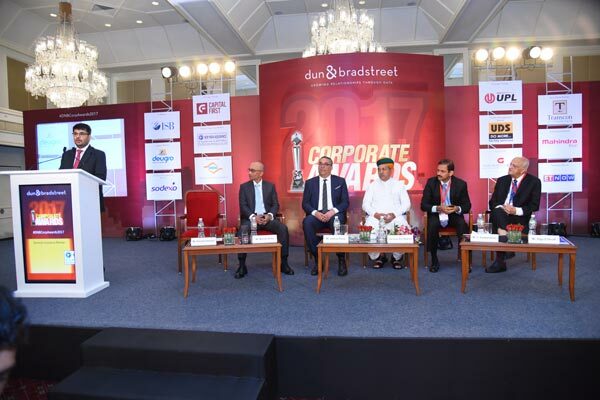 SMERA partnered with Dun & Bradstreet for Corporate Awards 2017 held on June 1, 2017 in Mumbai. 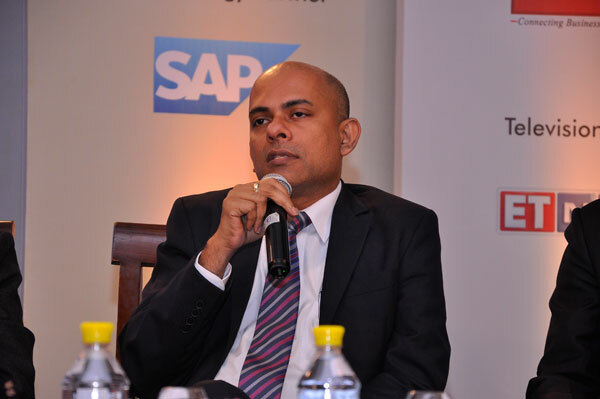 This event was attended by CXOs, MDs and Business Heads along with other senior management personnel of the big corporate houses. 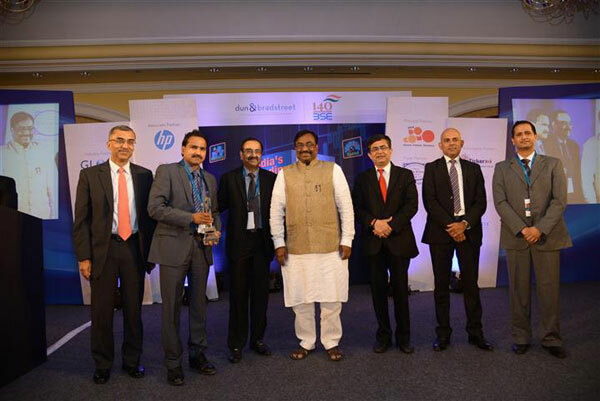 The objective of the event was to acknowledge and felicitate the companies across various sectors. 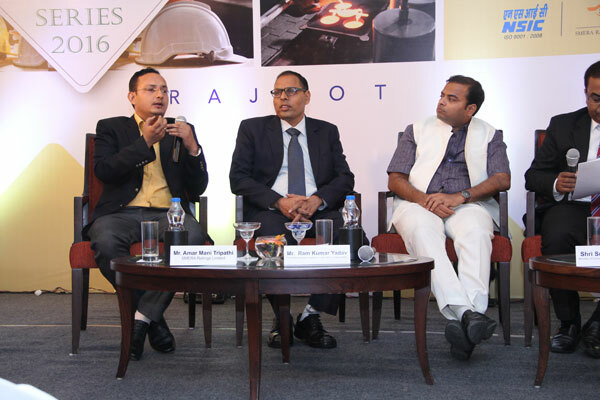 SMERA partnered with Dun & Bradstreet and Karur Vysya Bank for SME Cluster Series 2016: Rajkot held on November 22, 2016 at Rajkot. 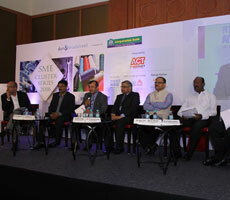 This event was attended by promoters from SME. 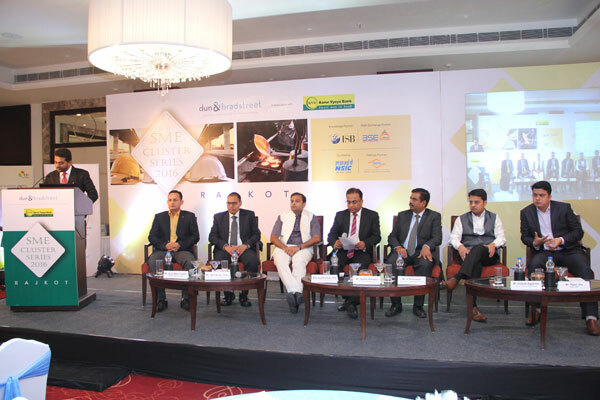 The objective of the event was to highlight the growth drivers of doing business alongwith the challenges faced by SMEs. 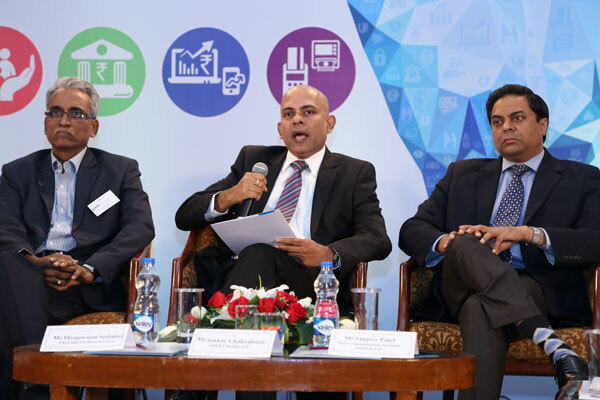 SMERA partnered with Dun & Bradstreet and Corporation Bank for SME Cluster Series 2016: Coimbatore held on August 30, 2016 at Coimbatore. 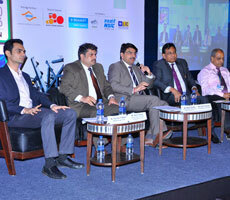 This event was attended by promoters from SME. The objective of the event was to highlight the growth drivers of doing business alongwith the challenges faced by SMEs. 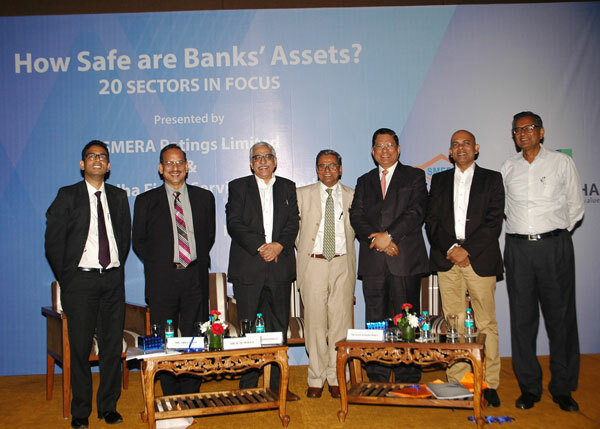 How Safe are Banks' Assets? 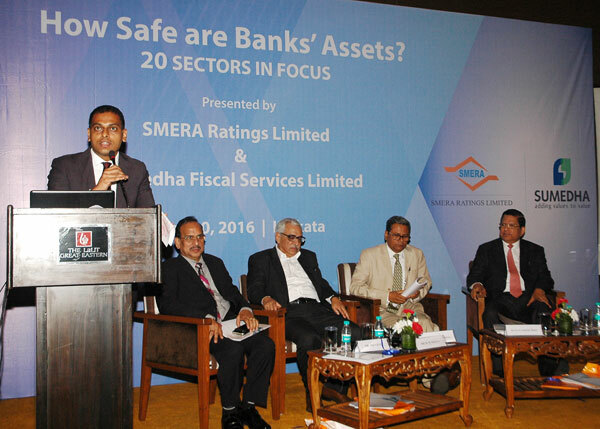 SMERA in association with Sumedha Fiscal Services Limited launched its report titled How Safe are Banks' Assets’? focussing on 20 sectors. 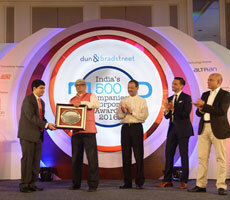 The launch event was held on June 10, 2016 in Kolkata. 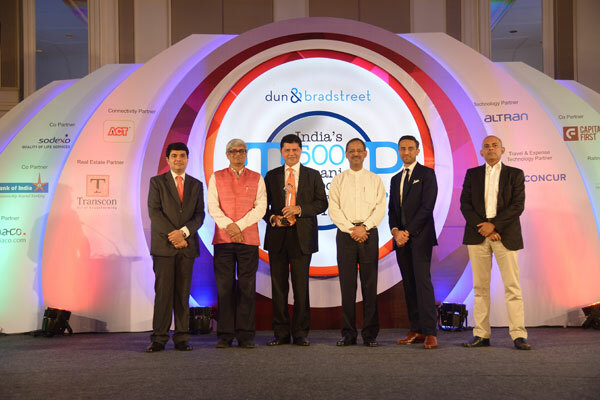 SMERA partnered with Dun & Bradstreet for India's Top 500 Companies & Corporate Awards 2016 held on May 31, 2016 in Mumbai. 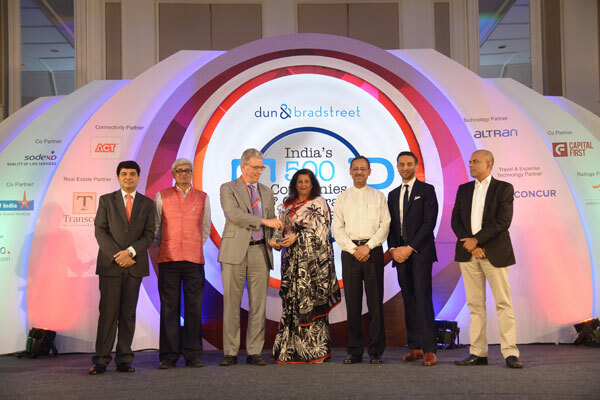 This event was attended by CXOs, MDs and Business Heads along with other senior management personnel of the big corporate houses. 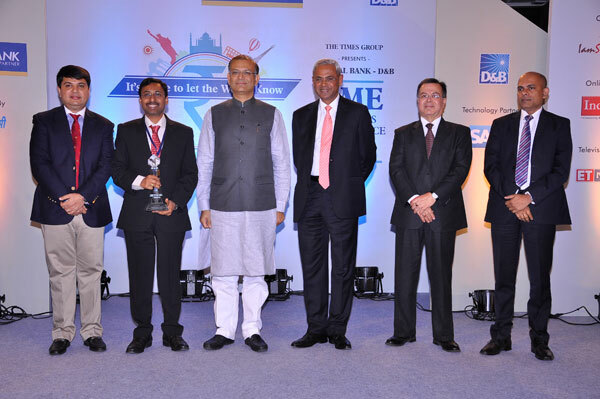 The objective of the event was to acknowledge and felicitate the companies across various sectors. 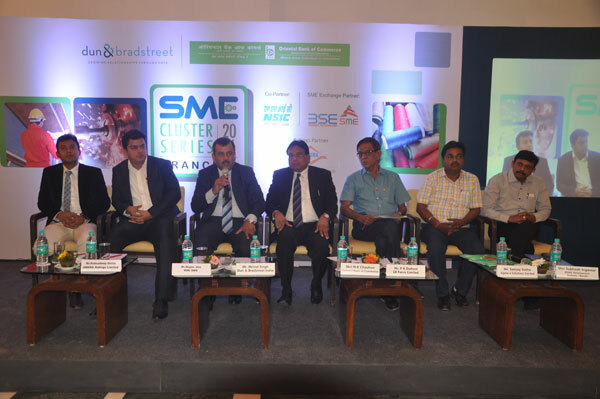 SMERA partnered with Dun & Bradstreet and Oriental Bank of Commerce for SME Cluster Series 2016: Ranchi held on April 25, 2016 at Ranchi. 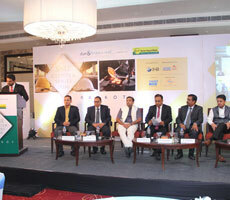 This event was attended by promoters from SME. 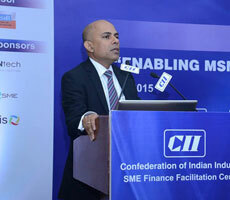 The objective of the event was to highlight the growth drivers of doing business alongwith the challenges faced by SMEs. 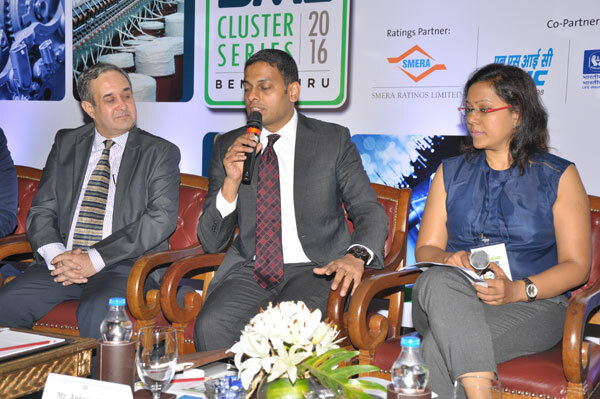 SMERA partnered with Dun & Bradstreet and Oriental Bank of Commerce for SME Cluster Series 2016: Hyderabad held on April 21, 2016 at Hyderabad. 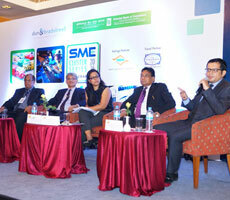 This event was attended by promoters from SME. The objective of the event was to highlight the growth drivers of doing business alongwith the challenges faced by SMEs. 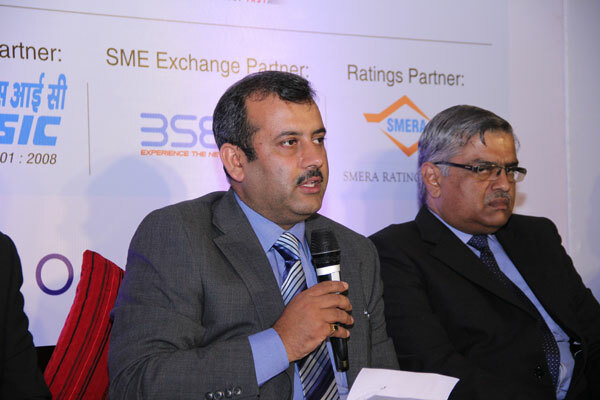 SMERA partnered with Dun & Bradstreet and Oriental Bank of Commerce for SME Cluster Series 2016: Gurgaon held on March 16, 2016 at Gurgaon. 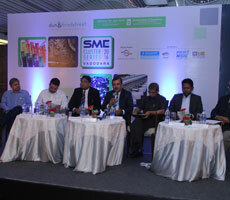 This event was attended by promoters from SME. The objective of the event was to highlight the growth drivers of doing business alongwith the challenges faced by SMEs. 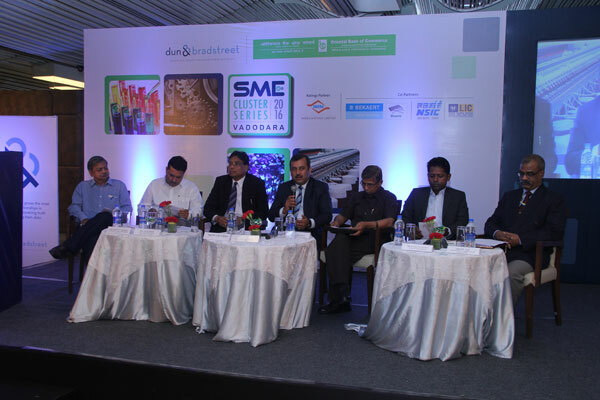 SMERA partnered with Dun & Bradstreet and Oriental Bank of Commerce for SME Cluster Series 2016: Vadodara held on March 14, 2016 at Vadodara. 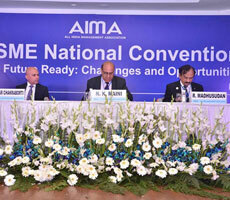 This event was attended by promoters from SME. 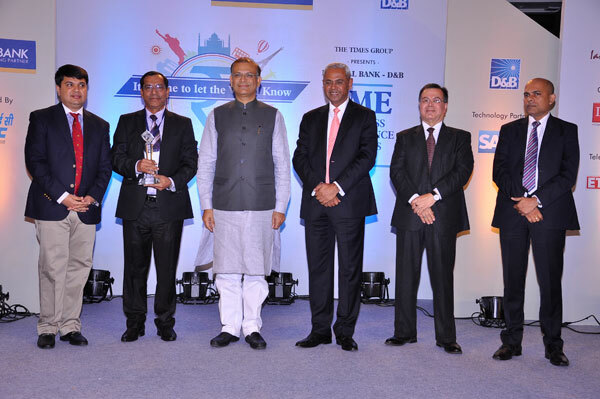 The objective of the event was to highlight the growth drivers of doing business alongwith the challenges faced by SMEs. 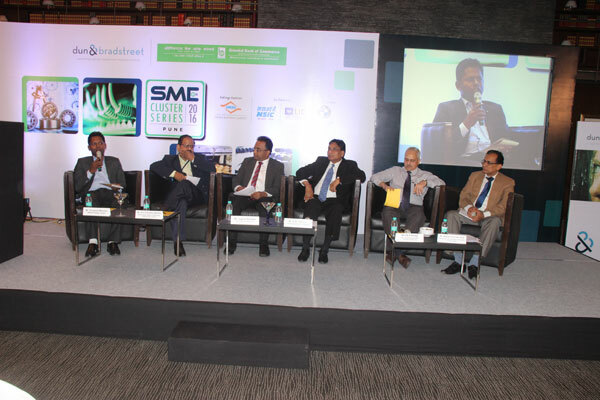 SMERA partnered with Dun & Bradstreet and Oriental Bank of Commerce for SME Cluster Series 2016: Pune held on March 11, 2016 at Pune. 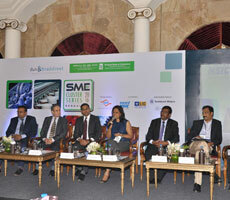 This event was attended by promoters from SME. 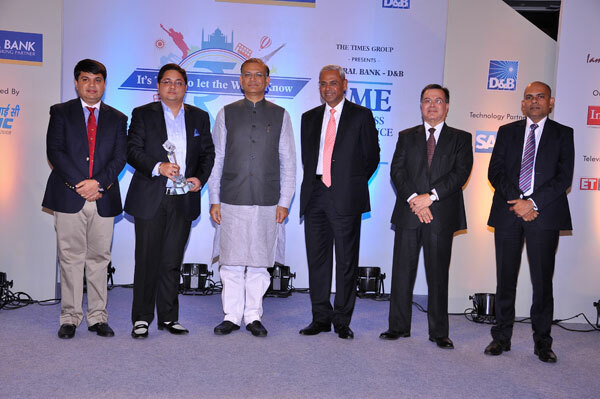 The objective of the event was to highlight the growth drivers of doing business alongwith the challenges faced by SMEs. 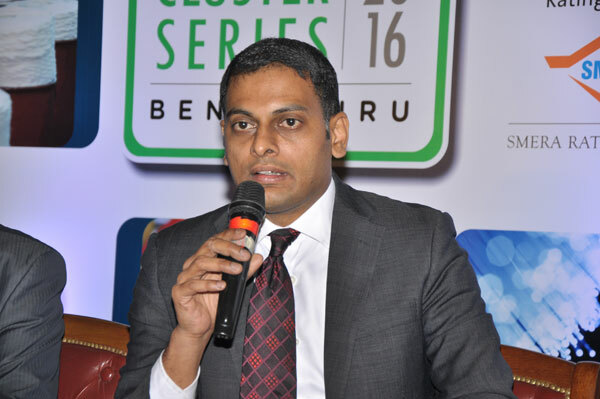 SMERA partnered with Dun & Bradstreet and Oriental Bank of Commerce for SME Cluster Series 2016: Visakhapatnam held on March 08, 2016 at Visakhapatnam. 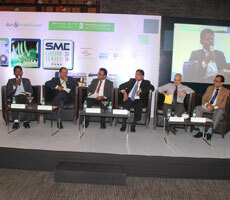 This event was attended by promoters from SME. 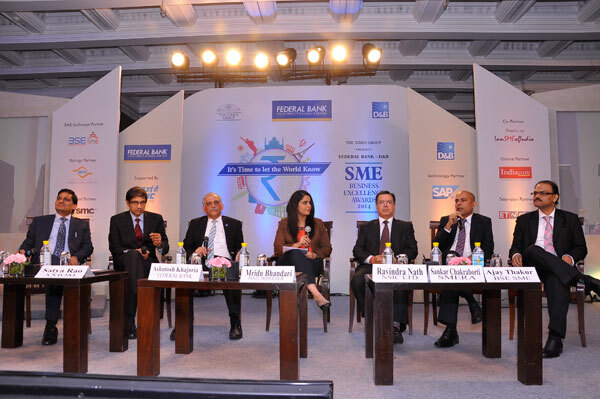 The objective of the event was to highlight the growth drivers of doing business alongwith the challenges faced by SMEs. 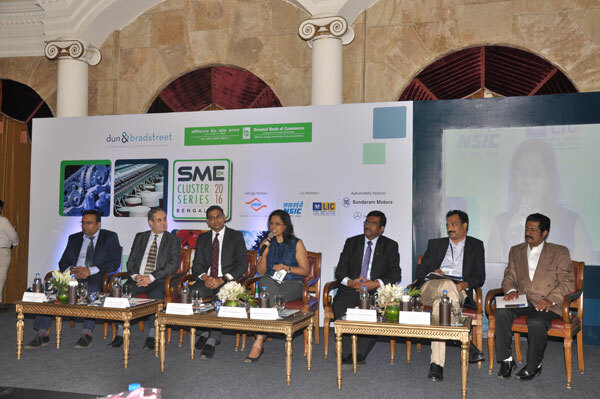 SMERA partnered with Dun & Bradstreet and Oriental Bank of Commerce for SME Cluster Series 2016: Bengaluru held on February 19, 2016 at Bengaluru. 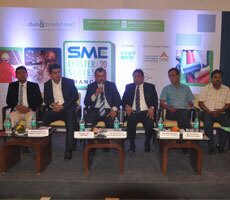 This event was attended by promoters from SME. 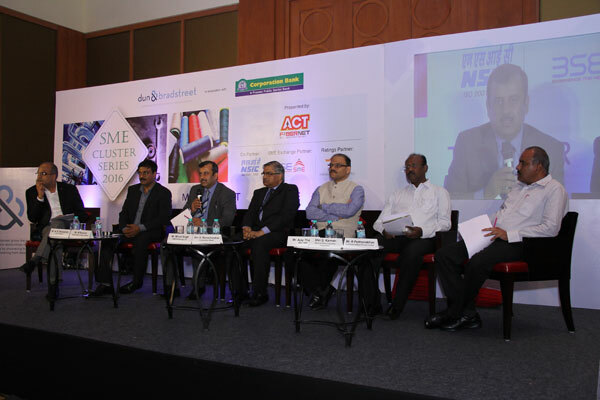 The objective of the event was to highlight the growth drivers of doing business alongwith the challenges faced by SMEs. SMERA partnered with Dun & Bradstreet for India's Leading BFSI Companies 2016 held on Feb 25, 2015 in Mumbai. 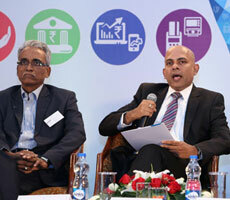 The event was attended by CXOs, MDs and Business Heads along with other senior management personnel from BFSI sector. 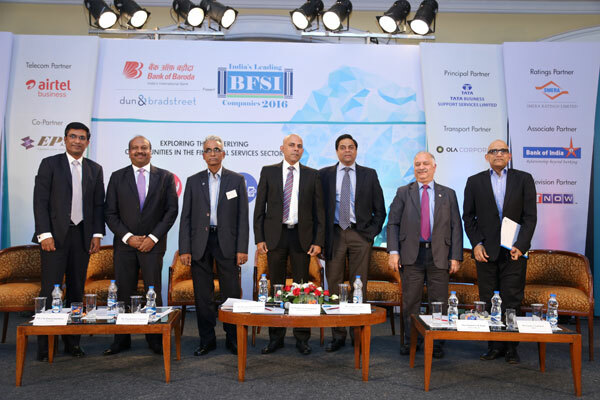 The objective of the event was to highlight the trends and contribution of the BFSI sector. 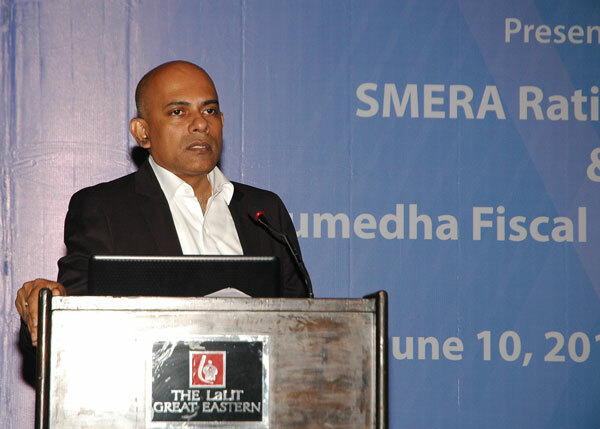 Mr. Antony Jose, Vice President - Business Development, SMERA spoke at SME Entrepreneurship Development Seminar organised by Rotary and BSE in Mumbai on Dec 1, 2015. 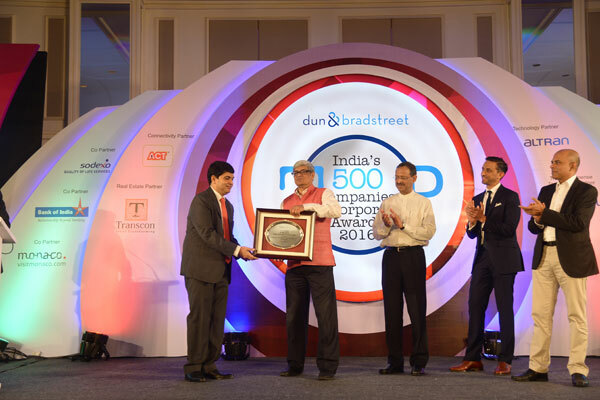 SMERA partnered with Dun & Bradstreet for India's Leading Equity Broking Houses and Equity Broking Awards 2015 held on Sep 30, 2015 in Mumbai. 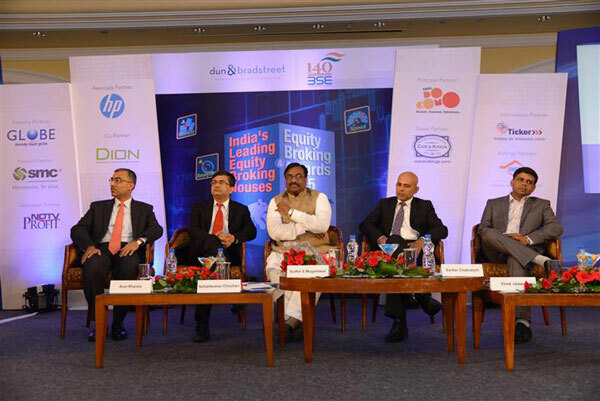 This event was attended by CXOs, MDs and Business Heads along with other senior management personnel from leading equity broking houses. 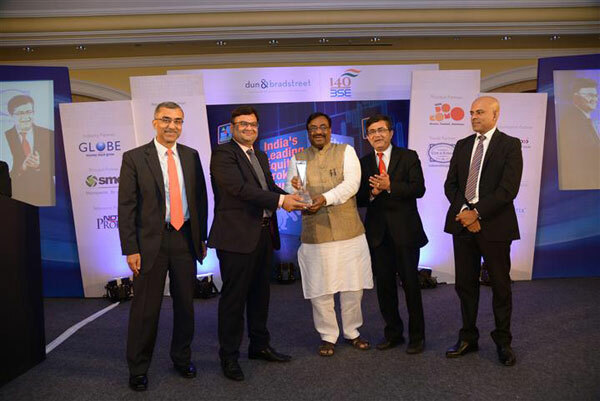 The objective of the event was to acknowledge and felicitate the equity broking houses for the exemplary performance across various categories. 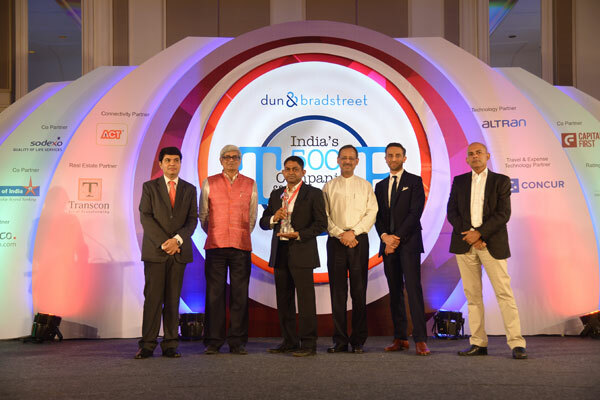 SMERA partnered with Dun & Bradstreet for India's Top Banks and Banking Awards 2015 held on Aug 28, 2015 in Mumbai. 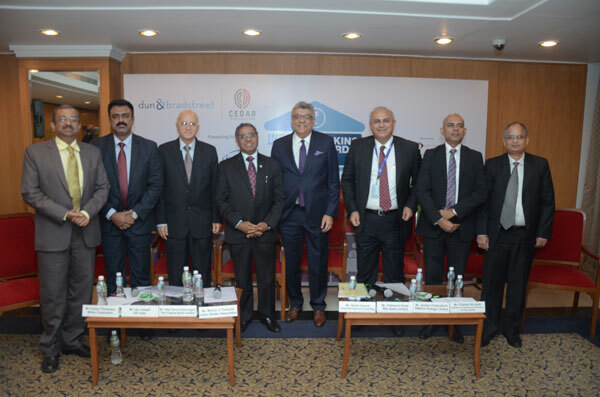 This event was attended by CXOs, MDs and Business Heads along with other senior management personnel of the leading scheduled commercial bank. 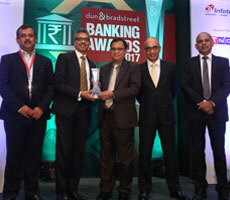 The objective of the event was to acknowledge and felicitate the banks for the exemplary performance across various categories. 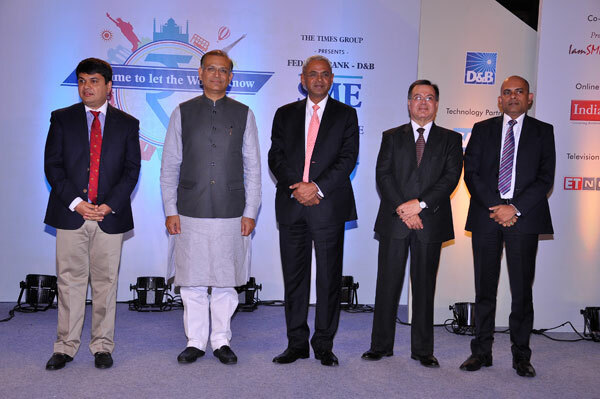 Mr. Virendra Goyal, Vice President – Marketing and Alternate Channel, SMERA Ratings (second from left) represented SMERA as a part of delegation led by Mr. D.S. 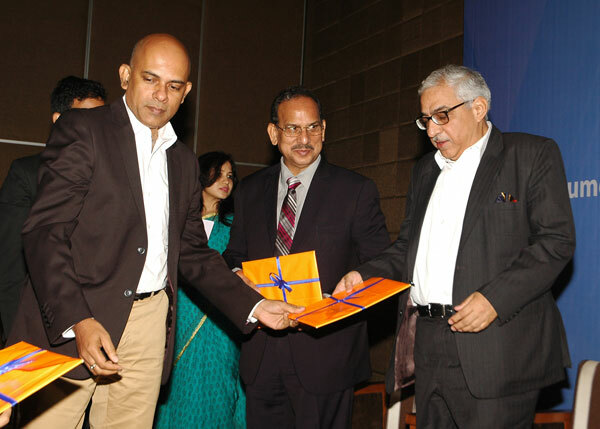 Rawat, Secretary General, ASSOCHAM (extreme right) which met Union Minister for Micro, Small and Medium Enterprises, Shri Kalraj Mishra (second from right) on May 21, 2015. The meeting was held to discuss the way forward on Small Business financing through MUDRA Bank. 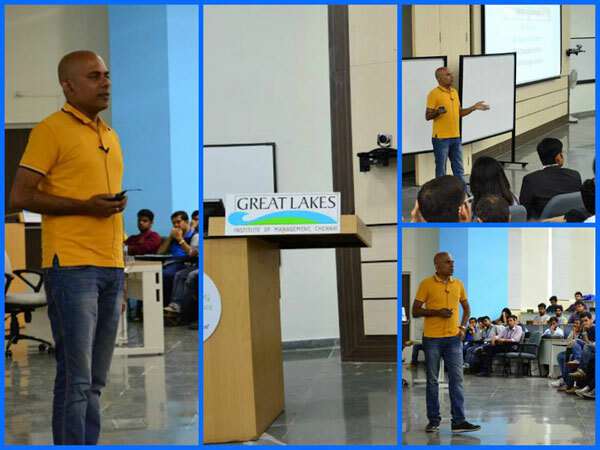 On May 14, 2015, Sankar Chakraborti, CEO of SMERA , spoke at an interactive session with students at Great Lakes Institute of Management, Chennai. 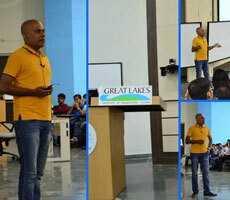 Sankar shared his insights on Indian Industry and economy. The lecture was followed by a Q&A session. 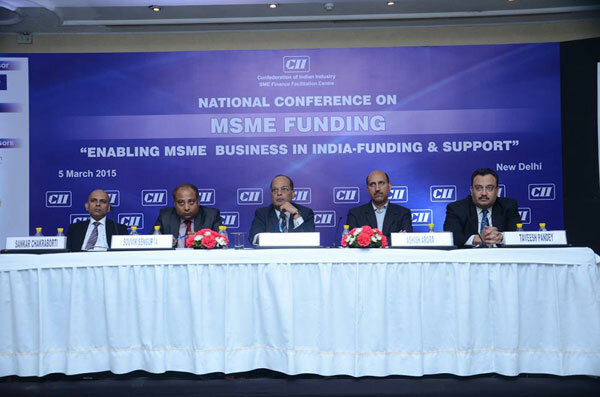 CII - National Conference on MSME Funding "Enabling MSME Business in India-Funding & Support"
Sankar Chakraborti, CEO, SMERA spoke at CII - National Conference on MSME Funding "Enabling MSME Business in India-Funding & Support" on March 05, 2015 in New Delhi. 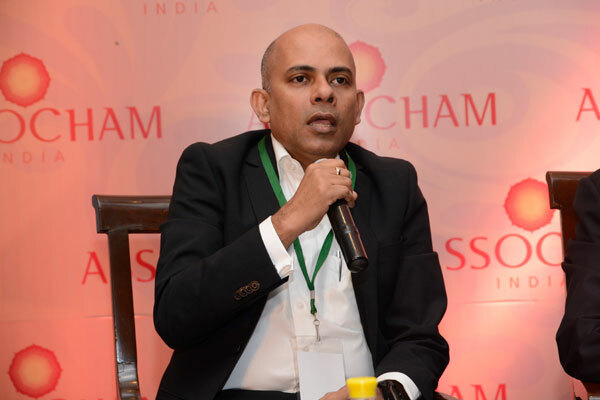 In its Proceedings & Recommendations report published after the 2nd NBFC National Summit held in January 2015, ASSOCHAM incorporated recommendations made by Sankar Chakraborti, CEO, SMERA Ratings Limited on the way forward for NBFCs in India. 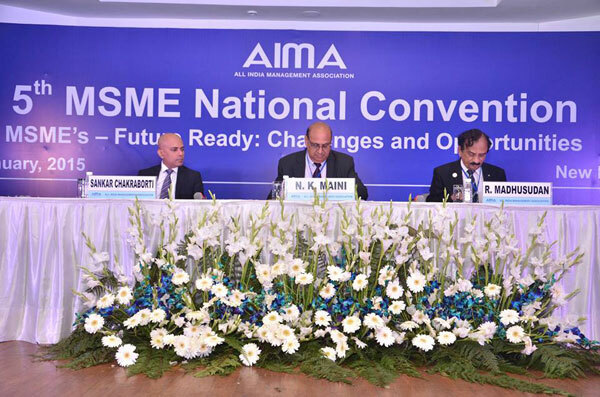 Sankar Chakraborti, CEO, SMERA spoke at AIMA - 5th MSME National Convention to enlighten the delegates about the success stories of Micro, Small and Medium Entreprises on January 14, 2015 in New Delhi. 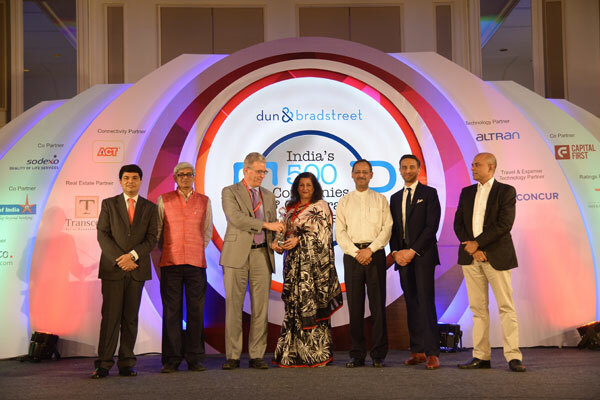 SMERA partnered with Dun & Bradstreet for SME Business Excellence Awards 2014 held on Nov 24, 2014 in Delhi. 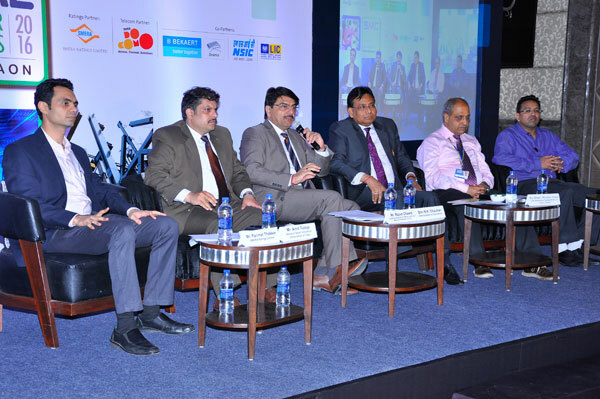 This event was attended by CXOs, MDs and Business Heads along with other senior management personnel from the SME fraternity. 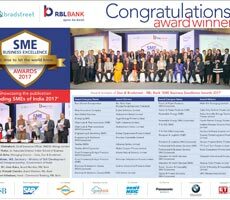 The objective of the event was to acknowledge and felicitate the SMEs for the exemplary performance across various sectors and categories. 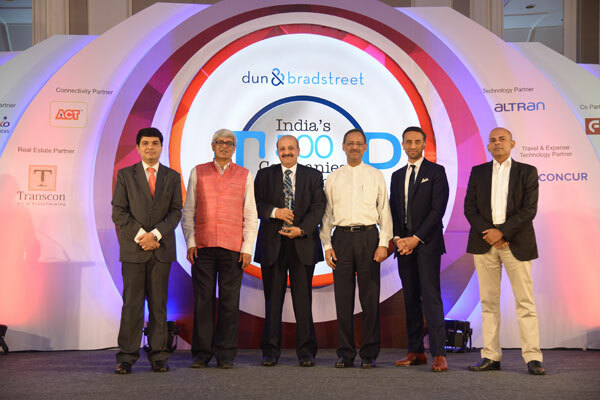 SMERA partnered with Dun & Bradstreet for India's Top Banks and Banking Awards 2014 held on Aug 27, 2014 in Mumbai. 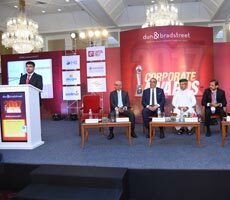 This event was attended by CXOs, MDs and Business Heads along with other senior management personnel of the leading scheduled commercial bank. 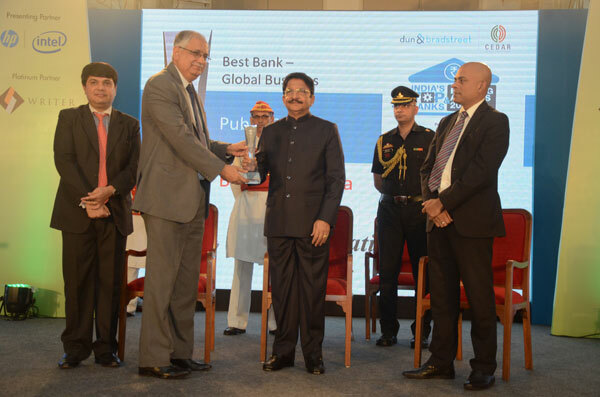 The objective of the event was to acknowledge and felicitate the banks for the exemplary performance across various categories. 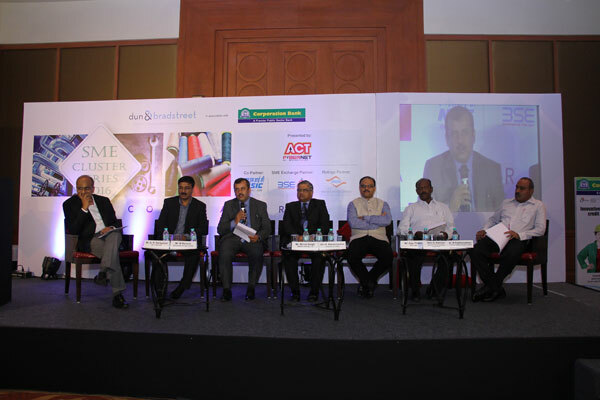 Seminar on "Financing Options for MSME's & Benefit of External Credit Rating"
SME Rating Agency of India Ltd partnered with Reliance Capital "The Indian SME Forum 2012" held on Aug 23, 2012 in Chennai.The objective of this event is to propel the SME movement by nurturing entrepreneurship and support SMEs across India. Surprising as it may be, China is pulling down the rest of Asia. A slowing Chinese economy is impacting the overall trade numbers of IMF’s emerging economies & developing Asia category. A bigger shocker is however the fact that Asian trade would have grown faster without China. The divergence between China and the rest of Asia is nonetheless a reality now and gives a fair bit of nuance regarding the things to come. Bearing in mind this reality, repercussions pertaining to the US-China trade war, China’s reducing trade surplus and global commodity volatility suddenly become even more pronounced for Asia now. Even though it is clear that China will continue playing a leading role in forthcoming decades, there are visible signs of realignment in Asia and this cannot be ignored. Despite being the world’s fastest growing major economy, India is having trouble in mustering enough ammunition to sustain its momentum. The economy it seems is running out of cash and systemic liquidity has fallen much faster than anticipated. As things stand today, the liquidity situation is grim and requires a serious rethinking. The central bank is expected to take evasive steps to calm the system – the costs may however be underestimated at the moment. For record, Chinese exports to the United States are expected the breach the $500 billion level in calendar year 2018. The country is Americas largest import partner and as we will see later in this story – the former maintains a significant influence on the latter’s household consumption basket. Look at it this way, among all of America’s trading partners, imports from China form one massive monolith worth half a trillion dollars. Canada and Mexico, which come at second and third positions collectively contribute to around $600 billion – giving us a fair idea about China’s scale. While inflation in BRICS countries (proxy for emerging markets) is declining or stable - that of developed markets is inching up faster than expected. The evolving situation will disrupt the ongoing fiscal consolidations across the emerging market space and batter its asset classes if experts remain less vigilant. The countries, which were running high inflationary pressures in the recent past are experiencing a period of relative stability despite increasing crude prices. However, developed market interest rate normalization is occurring faster, given rising inflationary trends – creating volatility. Both the Indians and Russians had high hopes from the recent visit of President Vladimir Putin to Delhi. Surprisingly, it wasn’t about the much hyped S400 Air Defense System deal signed between the countries for a whopping $5.1 billion. The audacity was regarding another strategic asset, which has been derailing the Indian growth story and threatening to maul its macroeconomic stability. No guesswork here as all eyes were on Russian oil assets as the October meeting concluded with a strategic push pertaining to Indo-Russia joint development of Siberian liquefied natural gas (LNG) and oil fields. Russia also reportedly offered India strategic access to its Arctic assets and its northern sea route (through the Kara gate). Despite these feel good announcements however, nothing concreate was discussed about uninterrupted supply lines. Perhaps, the arrangement which has been extended to the Chinese in the form of Eastern Siberia-Pacific Ocean Oil (ESPO) Pipeline for example, could have greatly sweetened the deal. 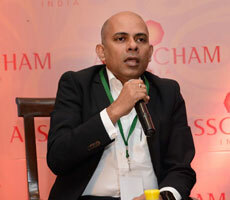 Suman Chowdhury, the ratings president at Acuité Ratings and Research, based in Mumbai, says it is not surprising that agriculture is contributing a declining share of GDP in India, as the services and industry sectors continue to grow at a much faster pace. "As a country develops and goes on from a developing to a developed economy, we will see a lower share of agriculture," he says, although he adds: "I wouldn't say that there's a crisis at this moment." 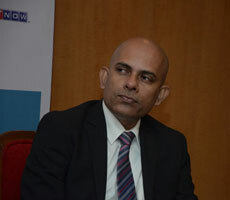 "The regulators should seriously consider mandatory rotation of the rating agency of an issuer just like the rotation of auditors," Sankar Chakraborti, Chief Executive Officer at Acuité Ratings & Research Limited, a local ratings company. "This will allay the concern that a very long association between issuer and rating agency may allow scope for complacency." 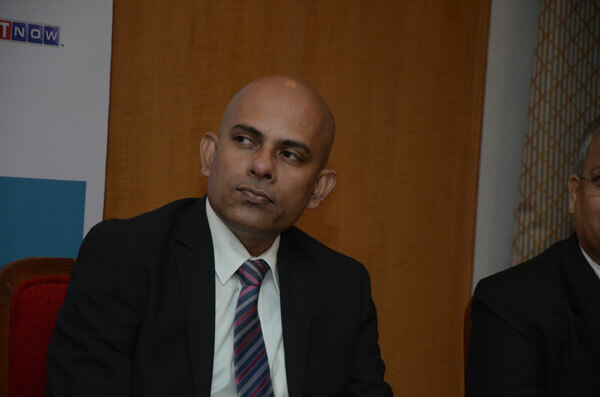 According to Karan Mehrishi, Lead Economist at Acuité Ratings and Research further liquidity management measures can be expected in the run up to the monetary policy statement. The tightness in the liquidity was clearly visible with the spurt in the weighted average call money rate (WACR) and its differential with the repo rate narrowing to only 4 bps over the last fortnight. RBI has already permitted banks to avail additional liquidity, if necessary from a larger pool of high quality liquid assets (HQLA) which is kept as SLR. "The proposed merger between the three banks — Bank of Baroda, Vijaya Bank and Dena Bank is a step in the right direction to sustain the competitiveness of the public sector banks. 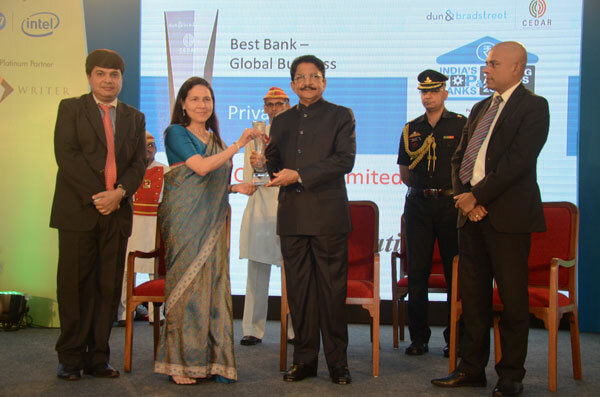 Given the increasing size and growing market share of the Indian private sector banks, such a merger and the consequent economies and synergies will strengthen the competitiveness of PSBs as a whole,” said Suman Chowdhury, President - Ratings, Acuité Ratings & Research Limited." 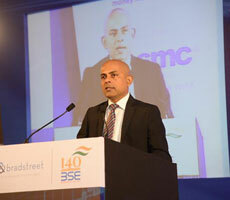 "Economy will be sustained by pent up demand, that will come on line in the coming quarters. The lingering effects of demonetization are subsiding as the market’s animal spirit takes over." Suman Chowdhury, president - ratings, Acuité Ratings and Research said the quantum of gold purchase by RBI at 8.4 metric tonnes in 2017-18 is not significant in the context of total gold reserves of 566.2 tonnes held by RBI as on June 2018. This is also a nominal amount against the last gold purchase by RBI of 200 tonnes in November 2009. @acuiteratings study says the liquidity position for MSMEs has also improved with gross current assets dropping to 135 days as on March 2018 from 153 days as on March 2017. Kerala’s Gross State Domestic Product (GSDP) loss would amount to nearly Rs 108 billion due to the torrential downpour and floods, said a report by Acuité Ratings. "Even though domestic factors such as rising core inflation, likely impact of farm MSP hikes and a depreciating currency are at play, we believe that MPC is also playing catch up with the normalization happening in the developed world. Today's meeting coincides with the US Federal Open Market Committee (FOMC) concluding remarks (due in a few hours) - which is expected to lose its accommodative stance, auguring more hikes. As a result, the US long term yields are already hitting the 3% mark. Maintenance of an attractive yield differential was therefore paramount for the MPC at this time"
"A fairly satisfactory progress of monsoon and reduction of GST rates for consumer discretionary goods augur well for rural consumption,” says Suman Chowdhury, the president, Ratings at Acuité Ratings & Research. 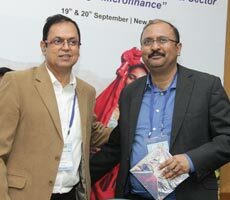 Kumar Shankar Roy caught up with Sankar Chakraborti, who as CEO is spearheading Acuité Ratings & Research's journey. 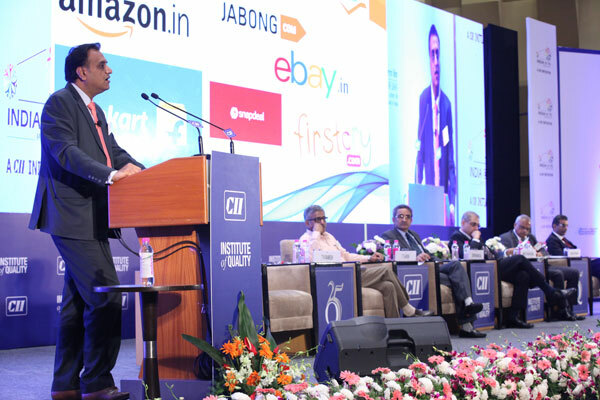 Chakraborti, who is also an independent director on the board of Indian Oil Corp, over the years in his roles at CRISIL and the Centre for Monitoring Economy (CMIE) has had a ring-side of view of how corporates, economies, and governments function. "It reinforces our belief that the government would continue to support the PSBs particularly those under PCA (prompt corrective action) of the RBI and would not allow regulatory capital breaches which might lead to defaults in hybrid and perpetual instruments," Chowdhury said in a statement. "The Rupee has been one of the worst performing currencies among peers... Against the US dollar, it has depreciated by 6.6 per cent in calendar year 2018 and 8 per cent year to date. Adding to our concern is the increasingly hawkish Federal Reserve, which has now initiated a reversal of the Quantitative Easing (QE) - marking an end to global easy money," Karan Mehrishi, Lead Economist at Acuité Ratings & Research, said. 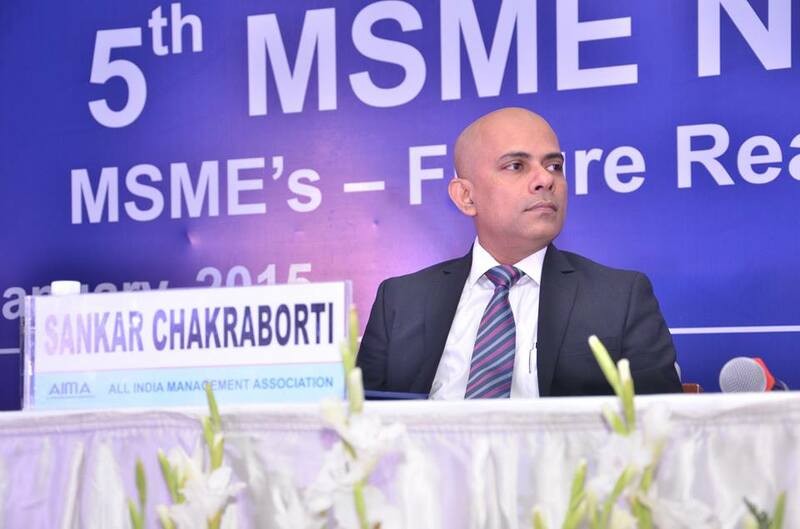 "These figures reinforce the belief that the MSME sector is already on a recovery path and should continue to sustain the improved performance in FY19", Acuité Ratings CEO Sankar Chakraborti said. "As on date, 11 PSBs have already been placed under PCA, resulting in deceleration in their loan book growth. For these 11 banks, overall loan book has degrown by around 3.3% in 2017-18 on the back of a de-growth of 3.6% in the previous year, primarily due to slowdown in lending to MSMEs and mid-corporates", Acuité Ratings & Research said in note.